Eleanor Oliphant has learned how to survive - but not how to live. Change can be good. Change can be bad. But surely any change is better than...fine? 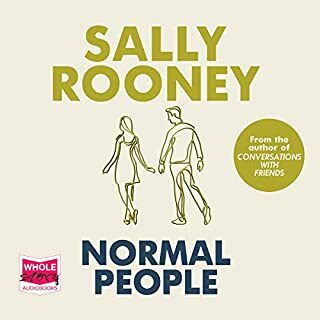 This audiobook contains an exclusive interview with author Gail Honeyman and narrator Cathleen McCarron. What a wonderful book and performance. I loved everything about the flawed Eleanor; sad, blunt and completely hilarious. A beautiful account of the power of friendship and healing, and our ability as humans to recover from trauma. Coupled with a sensational narrator I can’t recommend this highly enough. Loved this book & didn't want it to end. For anyone who has experiences of those who live with ASD, you'll be sure to be entertained. I feel like this is one of those books that I will think about for the rest of my life. I've never read a book that has made me so passionately grateful for the things I've got in life, and simultaneously want to reach out to everyone I know and make sure they're okay. Eleanor and Raymond have changed me forever. Oh, and the narration is 10/10 as well. I cannot fault this audiobook. A wonderful and captivating read. Witty, melancholy, and completely uplifting. I could listen again & again! Impossible to put down... perfectly narrated... you'll get completely lost in the characters of this book,.. heart swelling, laughing and breaking as it all unfolds... 5 stars!!! If you liked the Rosie Project you'll love this book, which has a troubled female protagonist who you immediately empathise with. The performance is stunning. Cathleen McCarron's reading is nuanced and subtle and she brings all the characters to life in a very realistic manner. 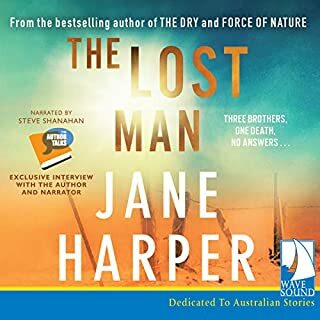 Easily one of the best audiobooks I've experience. To the final chapter . Beautifully narrated. This story was both haunting and uplifting. You can't help liking dear Ms Oliphant. I loved this book. I laughed throughout, it made me teary and I grew to love the character and didn't want the story to end. I loved the friendship that developed between Eleanor and Raymond. The narrator also did a top job, she was expressive and did well with the accents of the different characters. I had heard a lot of good things about this book, but found it a little disappointing. The idea behind the story is great! Unfortunately it seems to drag on and on, without much happening for the first half of the book. It is split into three parts. "Good days", "Bad days", and "Better days". The good days are mostly boring and I had to force myself to continue. 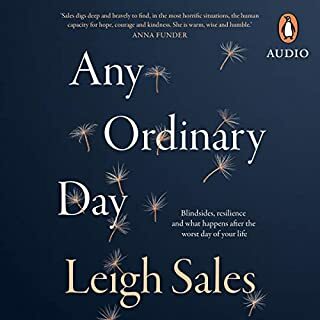 The bad days came as a rather confusing twist that made me feel like a chapter had been missed. The last part of the book has one huge plot twist that made up for a lot of the rest. The narrator was okay. 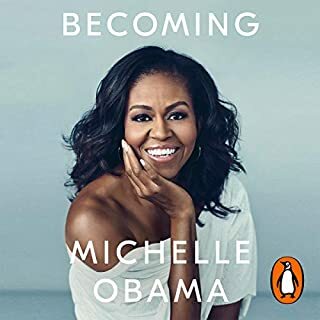 I haven't listened to any other books she narrated and I guess this one is not the posterchild for a narrator. The main characters point of view storyline didn't leave much room for the narration to be 'exiting' as such. This book is one of the books that you’ll carry with you for a long time. It’s funny, dark, sad and heartwarming. The characters are incredible and the voiceover is perfect. I’m now waiting not so patiently for Gail to write her next book! 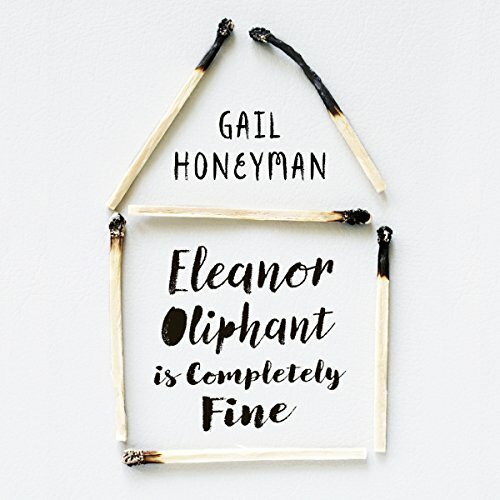 Would you listen to Eleanor Oliphant Is Completely Fine again? Why? Loved it. Well written, the character creation is amazing. Really well read and an inspiring story. Highly recommend. I loved this story about Eleanors triumph over adversity. Very poignant and funny at the same time. I loved this book with my whole heart. Maybe because in many ways I identifield with Eleanor Oliphant. I understood her and empathized with her. 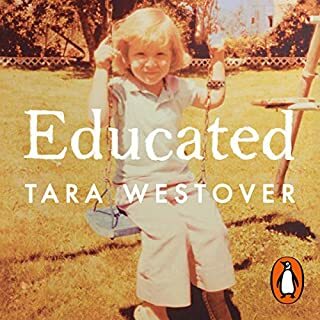 Yes, she made me cringe a little from time to time, but she was an extraordinary well-written character with an amazing journey of self-actualization. This was a triumphant debut by Gail Honeyman and I can't wait to see what she writes next. loved it. quirky, funny and deeply moving. flawed but real characters that as a reader i loved. Excellent- the pace of the story unfolding, the plot, the humour, the treatment of serious issues, the character development, the narration!!! One of the best, if not the best book I’ve read in a while! best I've read in 2017! different, funny and sad. more than just light listening yet fun and funny. Eleanor Oliphant is way more than just fine! Eleanor just might be my favourite character of 2017. What a story with a little twist and the end. If possible and you are into audiobooks this is the way to go. The narrator is a perfect Eleanor. Kathleen McCarron does a fine piece of work with this book. Gail Honeyman has written a unique book that captures the heart and draws the reader in. Excellent. What made the experience of listening to Eleanor Oliphant Is Completely Fine the most enjoyable? The narrator skilfully carries the story without over characterisation. 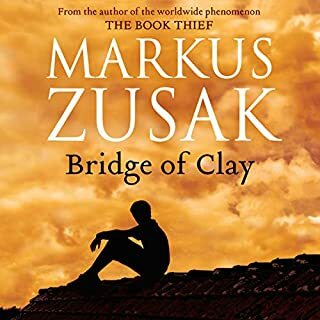 The story is carried with a lightness and humour that is so hard to deliver when that story is filled with human pain and suffering. What does Cathleen McCarron bring to the story that you wouldn’t experience if you just read the book? Maybe the warmth of the characters. The slight accent emphasised the context. Both! Lots of laughs, lots of warmth and compassion. Loved this story. A rare find. 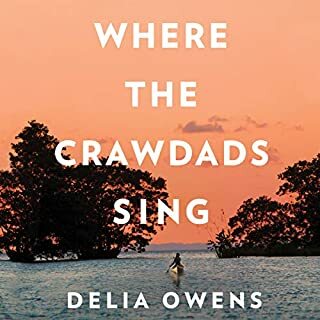 This is a great debut novel from a mature author and which goes to prove that it is never too late to start your writing career. Eleanor is a character we could all probably recognise. She is the office misfit who shows no interest in joining in with the general gossip and chitchat and whose appearance is functional rather than attractive. Like many similar people she has disappeared into the background and is only noticed when she retaliates after being mocked. Despite her isolation Eleanor is no shrinking violet and we quickly learn from her excessive weekend drinking habits that there is something seriously wrong in her life. This is the story of Eleanor’s reawakening and from it we learn the importance of human interaction which is the food and drink of everybody’s soul. The development of Eleanor’s relationship with the office nice guy /slob is a joyous awakening to the possibility of a better life. This is a splendid story filled with laughter and love but also the damage that one evil person can wreak on innocent people. 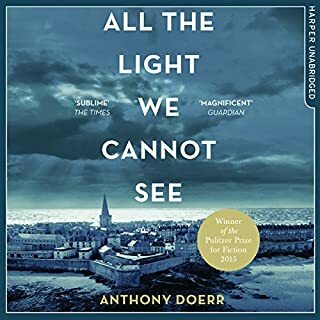 At times it is a difficult listen and the excellent narrator delivers some very hard emotional punches but it all adds up into a tale of hope and a lesson to make us value our friends, colleagues and the whole darned world (including the cats). Loved this book! Beautifully written story dealing with loneliness and the effects of tragedy in childhood. Optimistic, sensitive, emotionally congruent - and with literary depth. The reader makes the book sing. This is one of the best books I have read/listened to. 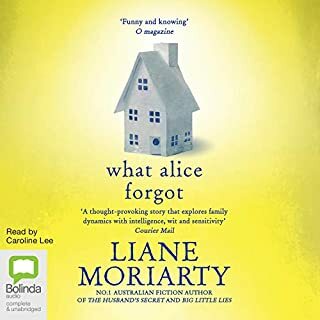 It is beautifully written, with a light touch (no underestimating the reader here) exploring many difficult issues for a women with a traumatic childhood history. In addition to understandable psychological problems, the main protagonist also has mild aspergers syndrome. All of the characters are extremely well drawn, and I loved many of them. Despite the subject matter, it is not always intense (though at appropriate times, it is). There are warm and lovely moments, laugh out loud moments and moments that may move you to tears. Not a single word is wasted here. 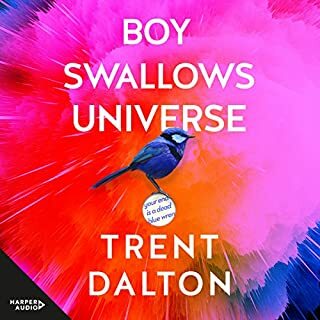 In addition, the narration for the audiobook may be the best I have heard. I have several favourite narrators who are always engaging and faultless. McCarron brings something more though. Her ability with accents and in varying voices is at such a high standard as to be remarkable. 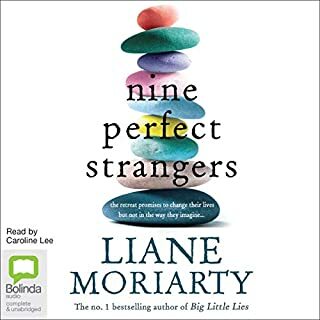 I keenly look forward to more by this author and I will probably try audiobooks that I might not otherwise when narrated by McCarron. Just brilliant. The story is gripping and the narration is excellent. One of those books you just don't want to end. I rationed myself! I'd recommend this to anyone. Good luck Eleanor Oliphant! 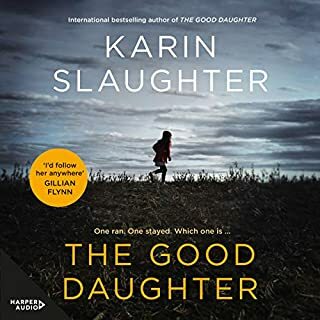 I loved this book- it's really out of my normal genre (crime drama) this is a wonderful, complete story of a woman on her journey of recovering from childhood trauma. The characters are excellent, voices brilliant. I could not put this down. You'll be so pleased you listened to this. 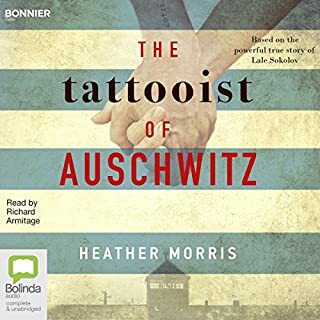 This is a fabulous audiobook which I cannot recommend highly enough. The writing is spot-on. Eleanor is superbly brought to life in the most painstaking and heart wrenching way. Seeing her reborn, almost, is really special. Loved all the other characters too, especially Raymond and his mum. All the small details are what make this book special and bring it to life. I hope the author has another book out very soon. The narrator was brilliant too. 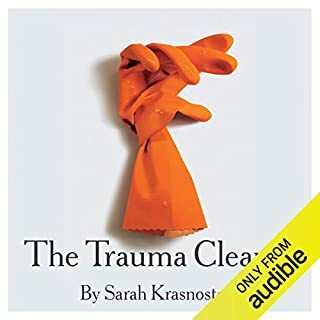 This is the best book I have listened to on Audible. Firstly may I say that I don't often read feel good type novels. Stephen King is more my forte. But every now and again I'll see a book cover that catches my eye, or wonder if the latest 'big book' really is worth all the hype. 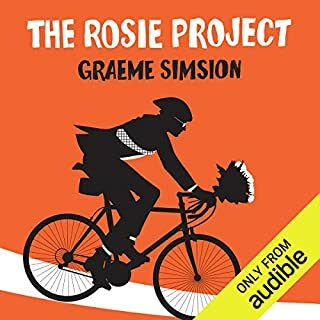 I actually listened to this novel via audio book, and from the moment I heard the narrator's gorgeous Scottish accent, I was completely drawn in. This is no Bridget Jones. Eleanor puts her in the shade. She's a totally unique character, a one of a kind who you can't help but feel empathy for. We've all felt alone at some point in our lives, haven't we? The subject matter has been written so beautifully, you can't fail to be moved. I was also pleasantly surprised by the numbers of twists and turns this book took. I loved the relationship between Eleanor and her mother, which took me completely by surprise. As for her interaction with the rest of the characters... I won't spoil the story but suffice to say I smiled so many times at the touching and heartfelt moments portrayed in this book. It made me laugh, it almost made me cry, no mean feat for this cynical ex copper, believe me. This is one of my favourite books of the year. Prepare to be moved. I would certainly listen to the book again. The book is so heart warming, it has everything from loads of humour to the depths of pathos. Well measured and flows like silk. This narrator is brilliant, she moves from character to character effortlessly. 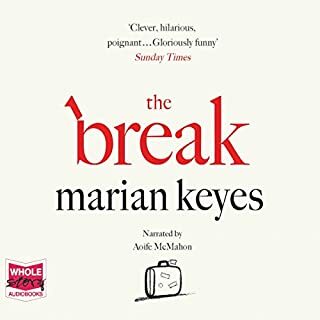 Its hard to believe that it is the same narrator speaking as she moves effortlessly through the various accents. If I could give this narrator 10 stars I would. Eleanor's inability to fathom social nuances creates some wonderful humour, at the same time you feel you want to help her find her way. This is not just a woman's book. 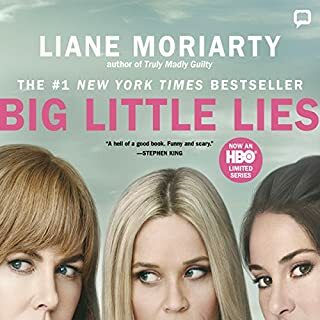 My wife's friend loved the book and I downloaded it and thoroughly enjoyed it. My wife listened later on my ipod and felt the same way. This is a must buy. This is where the content of the book, and the reader, just come together beautifully. 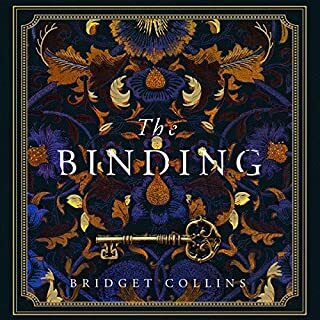 I was totally enthralled, and the book holds you right to the end. The book has a lovely beat to the story...like the waves of the sea, bringing in different parts of a harrowing story, giving you time to think about it, before being engulfed with another wave of information. Beautiful.